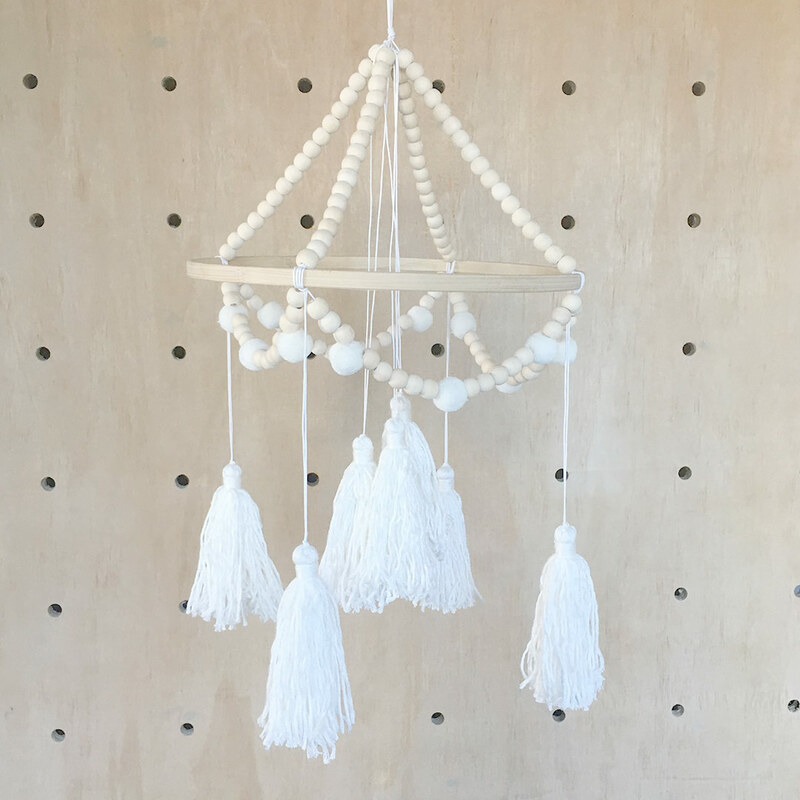 The funky Ivory Tassel Mobile by Tiger Lily brings some style to your baby’s nursery. This unique mobile’s simple contrast between natural wood beads, tassels and pompoms is guaranteed to delight little ones and parents alike. The tassels are handmade in Cape Town from 100% hand-dyed bamboo yarn. Any gentle breeze from a window or fan will encourage subtle movement of the mobile, which encourages stimulation for your little one while tracking the motion of the tassels. The creators at Tiger Lily carefully selected various fabrics and components that complement adult decor throughout the home. Each product is individually crafted and careful quality controls ensure consistent quality.